in the Silicon Valley... Click Here for Details! Women and Technology 2007 Report Follow-Up! Want to Know More About the "Women and Technology 2007 Report?" Join the authors of the research, Compel Ltd. consultants and researchers Patricia Shafer and Barbara Trautlein, for an in-depth, 90-minute WITI Webinar! Have the urge to work for yourself but having trouble finding the time or the courage to start your own business? Come join us for breakfast as Heather Robinson and Mindy Davis talk about how they successfully launched their businesses. Have you ever wondered how accomplished women achieved their success? Ever wonder how they continue to succeed and manage all the varied aspects of their lives? Join us for a candid discussion with women IT leaders to explore these questions and much more. Representing IT leadership across several industries, our panelists will discuss their careers, their successes and their setbacks, their major lessons learned, and how they have built successful careers in technology while remaining true to themselves. WITI Strategist is pleased to present this first of a series of columns on global leadership success stories, career paths and advice of senior technology and business leaders. For example, in upcoming columns, we will meet Cathy Brune, CTO of Allstate, Cathie Kozik, Corporate Vice President, Integrated Supply Chain IT for Motorola, and Jana Schreuder, head of Northern Trust's Worldwide Operations and Technology organization. All are senior executives respected in their fields and aggressive learners that understand the global context of their work. You are not getting what you want in your life - in your career or in your personal relationships - but you don't know why, and it is making you feel frustrated, angry and just plain stuck. You are clueless as to what is getting in your way and wish there was a simple answer and a simple fix. From my perspective as a Coach I can tell you that there is no lack of interesting and sometimes esoteric things that might be getting in your way - I have personally witnessed and researched over 200 specific things that get and keep people stuck. WITI Members: Please Send Us Testimonials! A sentence or two about a positive experience you had at a WITI meeting/conference, etc. Please add your name, title, company to your testimonial. Winning customers in today's competitive market is challenging. Keeping them is even more so. Your company's ability to execute and implement your solution to the customer's satisfaction is crucial. 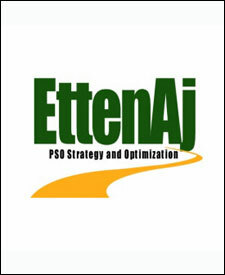 EttenAj can help your company launch, grow, and optimize your professional services offerings so that you can maximize profitability and assure client success. Software-as-a-Service Conference (SaaScon) April 17-18, 2007 Santa Clara, CA - is the gathering place for all participants in the SaaS community and the only place that provides practical case studies and real-world SaaS deployments. Discover how to accomplish and implement SaaS objectives now, while seeing what's just around the corner. Click Here for Details! Women in IT....Where are You Now? and Where are You Going? WITI 1 Year Anniversary Event!